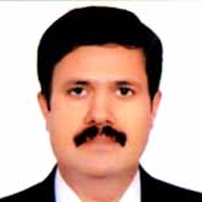 Akhilesh Srivastava is B.Tech., MBA, FIE, FIV, LLB. He has variety of experience on Contract Management, Information Technology, Financial Management and Business Management rose to head as CEO of IHMCL (Indian Highways Management Company Limited), a top Indian company of Highway management promoted by NHAI & MoRTH. Perhaps the only officer to have received almost all civilian awards of defense forces. Apart from his excellence in working and execution, he is a prolific scholar and academician. He personally designed and developed many tools for day to day office management and project monitoring such as DMS (Document management system) and PIS (Project Information System). As chief General Manager (IT & CMC) in NHAI, he is streamlining the Contract Management and dispute resolutions, an area needs urgent focus. On IT side he is modernizing the system and developed an advanced Project Management and Information System(PMIS) For better operations on Highways and to facilitate the Highways users, he is developing the India’s biggest 24X7 video surveillance command and control center for live monitoring of traffic at Toll Plazas of the India to avoid congestion at Toll Plazas and simultaneously working on Electronic Toll collection (ETC) an ambitious Project of Government of India monitored by Prime Minister Office(PMO). This will ease out road users difficulties and encourage digital payment. Apart from this, he is also developing a mobile app for highway user with GIS tracking facility.